This is one epic Adventure! One man. One 4WD. One Continent. Follow Carlisle Rogers as he builds the ultimate touring machine to take him from the Pacific Ocean, through the dead heart of Australia's outback, all the way to the Indian Ocean, an 8,000km journey of discovery. Searching for meaning on the road, he explores Outback Queensland, the Simpson Desert’s Madigan Line, the Red Centre, the Pilbara and beyond. 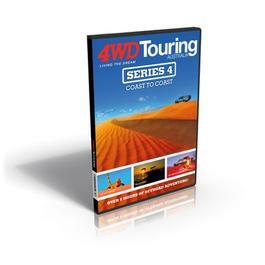 From desert camps under the milky way to 2.5 billion year old gorges, from the heart of the continent to spearfishing in the Dampier Archipelago, this is a journey of discover, the search realised.